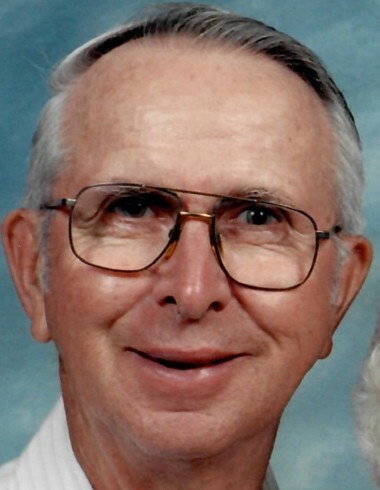 Paul Jason Mowry, age 90, of Bloomsburg died at 10:11 am Monday, March 25, 2019 at his daughter’s home in Sinking Spring, PA surrounded by his loving family. Born in South Auburn on October 10, 1928, he was the son of the late Rex Wallace and Vera Ethel (Tewksbury) Mowry. His early life was spent in South Auburn where he was a 1946 graduate of Meshoppen High School. Through high school, Paul was active on the yearbook staff, baseball team, and the orchestra, where he met the love of his life and future wife, Ernestine (Pinnock) Mowry. They were married on October 31, 1952, and celebrated their 64th Anniversary prior to her death on June 4, 2017. Upon graduation Paul enlisted in the Army Infantry on October 1, 1946 and spent his time serving as a fireman and baseball player at Fort Bliss, Texas. He earned the WWII Victory Medal and accepted his honorable discharge on March 19, 1948. Paul received his Bachelor’s Degree in 1952 from Penn State University in Health and Physical Education and worked as a teacher in the Bellwood School District from 1952-1956. He earned his Master’s Degree from Penn State University in Therapeutic Recreation. Paul was a Therapeutic Recreation Director at Danville State Hospital from 1956 until he retired on July 8, 1988, after 32 years of service. Paul was a member of Wesley United Methodist Church, Bloomsburg, for 60 years. He volunteered his time and talent as pianist for the Men of Wesley, organized the annual spaghetti dinner, and served as treasurer for the Boy Scouts of America. He was an active member of the Susque County Squares (square dancers), Meals on Wheels, and a longtime member of the Black Walnut VFW, Laceyville. Other interests included; hunting, bowling, travel, Canada fishing, spending winters in Florida, golf and good times with family and friends. Throughout life his passion and love of sports centered around baseball. Besides being a Yankee’s fan, he played baseball with his brothers, classmates, and in the Army before playing in college. His awards included 1946 PIAA District 12 Champions; 1947 4th Army Area Baseball Champions, Fort Bliss. His first year at Penn State University was spent at Bloomsburg State Teachers College. That year he played shortstop and helped the team to their second undefeated season. His 1949 team and the 1935 team remain the only undefeated Bloomsburg University Baseball teams in school history, which he was proud to have been a part of. In the Fall 1949, Paul returned to Penn State University to continue his degree in education and played two more years as shortstop to earn his Varsity “S” letter. In 1960 his team won the Tri County League Baseball Champions, and Paul won the League Batting Title. Throughout his life Paul played baseball, helped recruit locally for the Cincinnati Reds, was a PIAA umpire, and enjoyed coaching Little League in Bloomsburg. He was a devoted and caring husband, father, and grandfather. Paul is survived by four children: Sharon Mowry Altland, wife of Joel R., Mount Wolf, Paula Mowry Cragg, wife of Howard H., Pittsford, NY, Gerald Rex Mowry, and his wife Elizabeth Q, Clarence, NY, Vicki Mowry Vottero, wife of Michael J., Sinking Spring; 9 grandchildren: Meredith Altland, Andrew Altland, Stephen Cragg, Kathryn Cragg Rymer, Jason Vottero, Dominic Vottero, Alexander Vottero, Victor Vottero, Emma Mowry, and a brother George E. Mowry, and his wife, Patricia, South Auburn, and Sister-in-law Eleanore Mowry of Laceyville. In addition to his parents, Paul was preceded in death by brothers, Kenneth V. Mowry and his wife Isabel, Elston A. Mowry, Ronald W. Mowry and his wife Lois, Duane P. Mowry and his wives, Ellen and Shirley, and a sister, Eloise May Mowry. Funeral Services will be held on Saturday March 30, 2019 at 2 p.m. in the Dean W. Kriner Inc. Funeral Home & Cremation Service, 325 Market St., Bloomsburg. Interment will be made in Jersey Hill Cemetery, South Auburn, Susquehanna County on Sunday at 12:30 pm. Viewing will be on Friday at 6:30-8:30 pm and on Saturday from 1-2 pm.